What Kind Of Card Game Varieties Do Table Games Providers Generally Offer? With the increasing demand for anything-virtual (including online casinos), it's only logical that there will be quite a few game providers. But it's not just video game or online casino game providers that you can stumble upon on the internet. There are also particular software providers who're focusing on virtual table games. But what kind of card games do these table games provider offer? Remember that we mentioned that online table games are supposed to directly resemble their land-based counterparts? That's exactly why you shouldn't be surprised by the fact that table games providers also offer Texas Hold'em variations to their clients. However, most of the time you'll probably run into a slight variation of classical Texas Hold'em poker since some providers might've named it Casino Hold'em on their sites. Regardless, it's pretty much the same game, bar a few minor differences (if any). If software providers offer Texas Hold'em variations, then they're bound to have Blackjack ones, right? Indeed. There's hardly a quality online casino platform that doesn't include some form of good old Blackjack. Obviously, you're likely to come across various alterations of this rather simple table game. But no matter what kind of Blackjack modification a particular table game provider has, the game will still carry the fundamentals of this quite popular table game. Craps is yet another intriguing and a rather popular table game, variations of which can often be found by different game providers. In fact, this is a pretty old table game that bears some similarity with the Sic Bo table game. In comparison to Sic Bo though, Craps is much more widespread and well-known in the online casino world. And although complex in its nature, Craps is quite fascinating and action-packed, thus players generally love it. Also, game providers will generally offer one particular Craps variant for you to use e.g. a live dealer version. Baccarat is yet another well-known table casino that can also be found on many online games providers' portfolios. You might've heard that this is considered the "rich man's game" but only counts in the real world i.e. land-based casinos. In the online modification of Baccarat, players can enjoy both high and low stakes, while most games tend to be pretty straightforward. 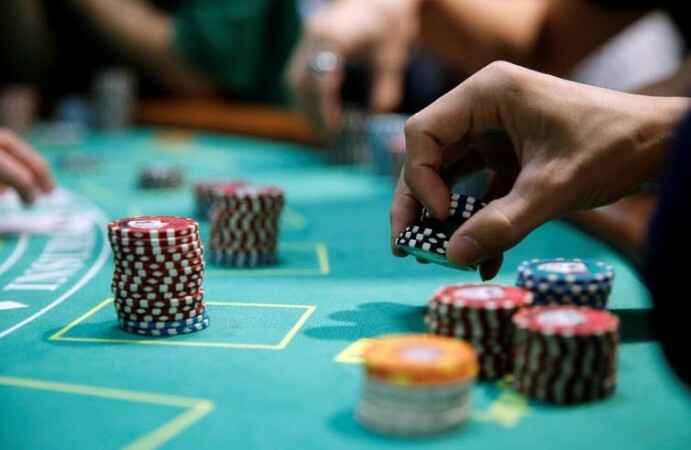 Now, depending on the provider you go for, you could possibly choose between several types of Baccarat. Generally speaking though, it will probably be a version that's more suitable to live dealer casinos. It's obvious that you can find some of the most widespread and popular table games out there in most table games providers' catalogs. And that's actually the whole idea of an online casino - to offer the games that we've all grown to love so much from land-based casinos. But what if you're looking for online games that are totally unique, one-of-a-kind and fully customizable? Then you'd definitely want to choose a software provider that can meet your specific needs and ideas with the help of the latest software technology. Thankfully though, we at Spigo offer exactly the same thing via our premium, highly-customizable proprietary HTML5 framework - the SpigoBUILDER!